So who qualifies for a VA home loan? Odds are you do if you’re a military veteran or spouse with reliable income and decent credit. VA loan requirements have four general areas used to determine applicant eligibility: Credit History, Income Requirements, Service Requirements and Property Requirements. You are generally eligible for a VA loan if you’ve served in the military for 90 consecutive days during wartime, 181 days during peacetime, or served six or more years in the Reserve or National Guard. Also the surviving spouses of those who died in the line of duty may qualify. All VA loan applicants must first obtain a Certificate of Eligibility through the Department of Veteran’s Affairs. You can obtain a Certificate of Eligibility (COE) online at www.benefits.va.gov or by mail through Veterans Affairs. If still have questions about your service eligibility, VA provides a very detailed look at VA home loan requirements for service here. Early in the application process, the lender checks the applicant’s credit report using a tri-merge credit report. This credit report gets scores from all three of the major credit bureaus. The lender then evaluates the applicant’s scores and credit history to determine if they meet minimum qualifications for VA loan eligibility. Get Pre-Approved for a VA Loan. VA loan income guidelines are uniquely different than any other mortgage programs because they use two separate methods to qualify an applicants income. The first method VA home loan requirements employs is a uncommon approach known as the residual income method, which is a fairly simple approach to determine if a borrower will be able to afford his new housing payment. Under the residual income method, VA provides an a chart, based upon their income, that outlines how much money a borrower must have left over each month after his new housing payment and other expenses are paid. It’s that simple! The second method used is the more common debt-to-income method (DTI). This method uses a debt-to-income ratio that measures the borrowers total monthly debt, including the proposed new housing payment, as a percentage of their monthly income. The debt-to-income ratio used for VA loans is similar to what’s known as the “bottom ratio”, “back ratio” or “total debt ratio” on other mortgage programs. This chart applies to loan amounts of $80,000 and above. Add $80 for each additional family member up to 7. 41% Debt-To-Income Ratio – The applicant’s new housing payment and all other combined monthly expenses may not exceed 41 percent of their total monthly income. Debt-to-income ratio may be exceeded under special circumstances if borrower meets residual income requirements. For a property to be eligible VA financing, it must first pass a VA appraisal, which accomplishes two things. The first function of is to determine if the home must meet certain minimum property requirements or “MPR’s”. VA minimum property requirements are exactly as they sound, and serve as evaluation guidelines for VA appraisers. The second function is to determine the if the value of the property meets the minimum VA loan valuation requirements. Eligible properties must have an appraised value that’s greater than or equal to the maximum loan-to-value requirements for the mortgage program being used. Upfront VA Funding Fee amounts to anywhere between 1.25% and 2.4% of the loan amount for purchase and refinance loans. The funding fee can be rolled into loan amount. Calculate your VA Funding Fee. Up to 4% Seller Concessions Allowed – Seller can pay buyer closing costs up to 4 percent of mortgage loan amount. VA mortgage loans have maximum borrowing limits that vary from place to place, depending on local housing costs. Current VA loan limits are set at $417,000 for most areas, but higher ceilings have been established in areas with higher home values. A complete list of limits by area can be searched here or you can consult www.benefits.va.gov/homeloans. 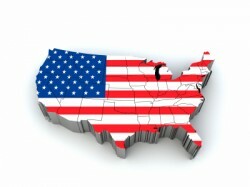 View VA loan limits for your area. 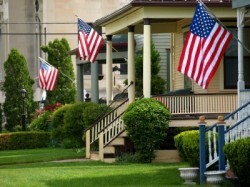 While the VA home loans certainly offer many benefits unique to active and retired military, the decision to purchase and finance a home is a major one than contains many options that are unique just to you. By taking the time to research your options, doing your homework and shopping around, chances are you’ll find your perfect mortgage.